I've been saying for a while that I really should start doing cute stuff with my hair. The fine folks over at Misikko read my mind (or my blog) and sent me a Hana Elite 1'' flat iron as a gift to review a couple weeks ago. 3. 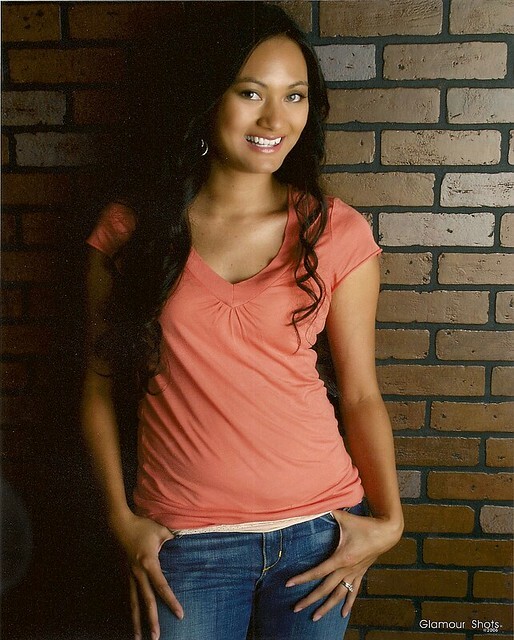 When I first moved to Austin in 2006, I was in desperate need of headshots quickly, so I did what any rational aspiring actress would do: I went to the mall and got Glamour Shots. Don't laugh! Okay. Laugh. But my hair turned out awesome, and it was curled (yes, curled!) with a straightening iron, and I've been trying to replicate this ever since with no luck. I love my hair here. My face? Not so much! Okay. NOW you can laugh. Is it just me or do I look like I'm in a wheelchair in the far right photo in the second row? Ahem! Now that you've got your giggles out, let's move on to the review, shall we? As far as the price goes, the Hana Elite has an above average price tag because it's an above average product! So many flat irons say they're ceramic. They are actually ceramic coated. The Hana Elite and the FHI Runway are the only flat irons in the world with a pure, 100% ceramic plate. This is so good for your hair, Indiana, it really can't even be compared to other irons. The girls in our office swear by their Elites! And FYI, the Runway sells for over $400! So what does the image of "ceramic coating" conjure up? To me, I see that coating peeling off after a year or two of use. What is the use of investing hundreds of dollars in an iron which is bound to break in one or two years? 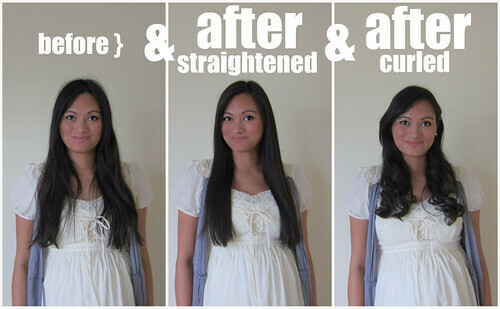 Don't get me wrong - not all ceramic coated irons are equal. Some are really well made. Others are not. You have to be careful about brands - I recommend Hana, Corioliss, and FHI as great investment brands. Additionally, he mentioned in his initial email that the company is family owned and he and his mother personally do the packaging themselves. And, gosh, do they go all out! A rose and a candle? I'm getting date night started off right by having awesome hair and by setting the mood! I can attest to the fact that my hair is shinier, smoother, and that it looks healthier after I used the Hana Elite with the shine shield. This iron triumphs over my cheap-o flat iron and even bests the one Camille used on me at Birds. With a two-year, all inclusive warranty and tons of extras, I think it's a good deal. My hair certainly looks better than my Glamour Shots, and better yet? The style lasts 48 hours without hair spray, even though I have the kind of hair that doesn't usually hold a style. 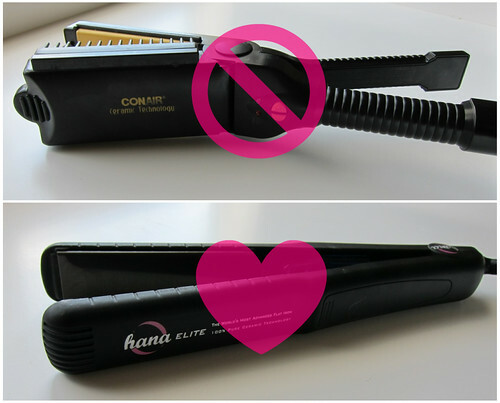 The Hana Elite straightens in a flash, it curls, and it smooths. When I travel, I can leave my hot rollers and curling iron at home and just take this little guy. This may have just become the MVP of all of my hair appliances. But you know what? 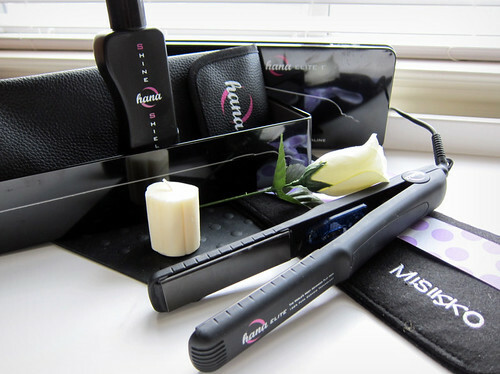 You do not have to take my word for it, because one of you will win the same Hana Elite 1'' flat iron and Hana Shine Shield courtesy of Misikko. This is a $244 prize (when on sale), so I'm very excited to be able to give this prize pack away on Adored Austin. To enter, GO HERE. Please note: I was not paid to do this review nor was I required to do the review and/ or to give it a positive review. Please see my post regarding "courtesy of items on Adored Austin".